P299685LF is rated 3.6 out of 5 by 7. Rated 4 out of 5 by FGILES from Good product, I am searching for parts I bought the product about two years ago, it works nice but water has a lot of minerals where I live and they have built up in some surfaces. I would like to change handles P/N RP71220 but when I search in the web page it says that part does not exist :( Any way to get them? 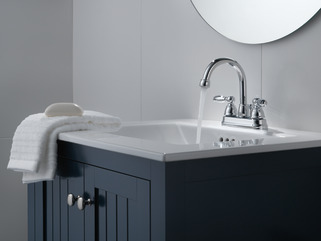 Rated 2 out of 5 by swhit from We liked the look.... We liked the look of the faucet and bought 4 from Walmart to go in our 3 bathrooms. The first one we installed worked great, but we waited to change out the other faucets until after new counters were installed. Went to install the others and ALL 3 leaked from INSIDE the faucet. I thought that we had gotten a great deal on these and turned out we got what we paid for.... trash. Now I have to go return the useless ones. I only gave it 2 stars, because when it isn't a defective one it does work and look nicely. Rated 1 out of 5 by LJ from Does not work with a standard 3 hole sink I did not read the reviews before I purchased this at Walmart, but like the other reviewer, after tons of work installing it on a one-piece pedastal sink, the stopper does not line up with the hole! Peerless says it is not a defect, I'm just hoping Walmart will let me return it after I have to tear it apart again. I think they should at least put a warning that it might not fit a standard 3-hole sink! 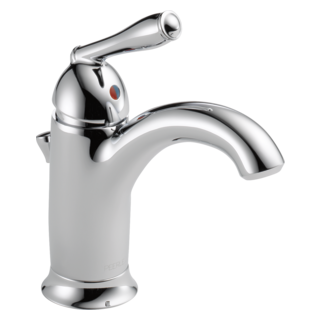 Rated 4 out of 5 by 1DisillusionedCustomer from We unexpectedly find ourselves unable to install the new faucet, even though we like it and because of its design. We purchased the Model # P299685LF-RB-W. After removing the original faucet on our American Standard sink and I was preparing to install the new one, only then did the problem become apparent. Why? There wasn't anything on the box the new faucet came in or the installation instructions sheet to alert me to the fact that the new, lift rod wasn't going to go through the existing, middle hole in the sink where the old one had. Now I don't know if I should chance drilling a small hole in the sink for the new, lift rod to go through or try to grind the middle, sink hole back far enough using the new, plastic gasket as a guide. Rated 5 out of 5 by Nikki89 from GREAT product!!!! 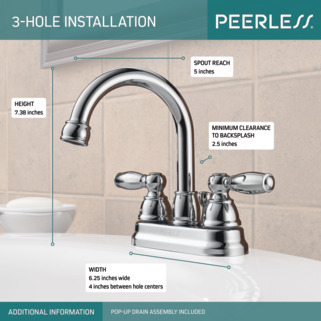 This is my second bath fixture ( I am DIY renovating my two guest bathrooms) and by far, PEERLESS is a great product. It's stylish and affordable ( Walmart for the savings). It's been two weeks since the self installation and so far, no leaks. Rated 5 out of 5 by HappyCustomer from remodel project... really happy!! OMG...I'm a bull in the china shop kind of guy. this product was easy to install. The instructions are very easy to follow. Great comical instructions inside as well. I would definitely buy this product again. Can you mount a Brita Faucet Filtration system on this without any special adapters. I understand the aerator end and the aerator would have to be removed. What size and thread is on this part? 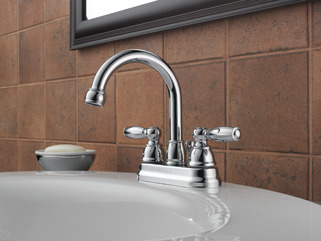 Does this faucet have a swivel spout? Does the spout swivel? Like on the 10 year old P99685 I have. Can this be installed without its base? 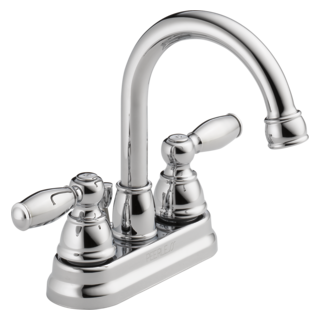 How do I take apart the neck of the faucet to change part number RP41700? Regarding the two handle lavatory faucet. The faucet leaks between the neck and the middle part of the base. 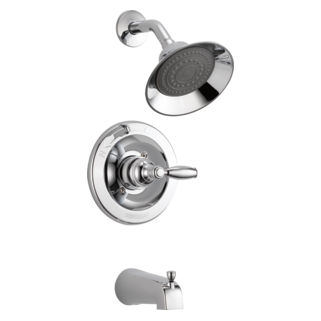 I like the two handle lavatory faucet P29968LF The number at Canadian Tire is 063-3576-2/902 Old stone house and we really like the old fashioned cross top tap. If you still have them, do you have them in widespread too?